The Accounts section of Inteliguide, (under the MANAGE tab) is where Groups are added, as well as, Businesses, Locations, and Users. Groups are a collection of Locations, so you'll want to add Businesses and Locations before you can form meaningful Groups. One of the prime examples of a meaningful Group is one used to define a Patrol Group for use in organizing Patrol Locations. 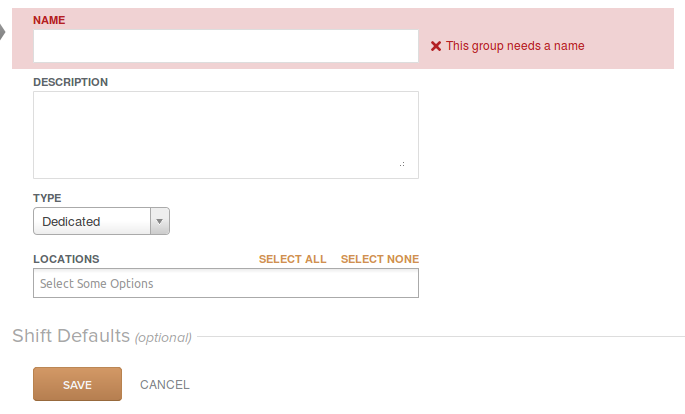 Left-click on the '+' symbol (next to Groups) to add a new entry (brings you to Add Group Form). You can then select the Group Type. Selecting 'Patrol' exposes that Group to Patrol Work Orders and Patrolguide.